1.7 Whom is omega 9 specially interesting? We are what we eat and, as the phrase states, the type of fat we eat has a direct impact on the type of fat you have in your blood. 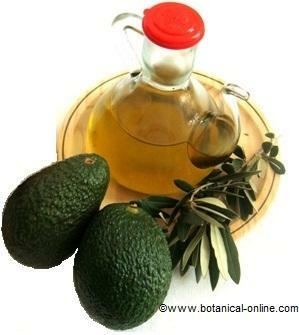 In this direction, it has been shown that consumption of omega 9, from olive oil or avocado, lowers bad cholesterol, increases HDL cholesterol (good cholesterol) and helps treat poor circulation. A diet rich in omega 9 increases good cholesterol and prevents the risk of atherosclerosis (cholesterol deposits in the arteries). Photography of olive oil and avocado. Olive oil and avocado are foods rich in omega 9. Omega 9 is a fat present in the membranes of cells and blood vessels. Along with the antioxidant effects of foods containing the omega 9 helps to lower blood pressure. Oils rich in omega 9, as olive oil, are very suitable for people with heart problems, hypertension and cholesterol. It is recommended that these people use this fat, even if there is obesity. People with circulatory problems, tired legs, varicose veins and high blood pressure can benefit from the properties of omega 9 through foods such as olive oil, avocado and walnuts. Olive oil, for its richness in omega 9 and polyphenols, is a food that helps prevent and treat Alzheimer’s disease naturally. The Mediterranean diet, which is the richest in omega 9 has been noted for its preventive role against neurodegenerative diseases. Alzheimer’s diet includes olive oil between its components. 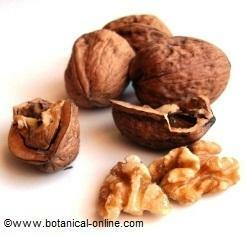 Photo of walnuts, rich in omega 3. Omega 9 helps to take profit of the benefits of omega 3 in the diet. Regarding the composition of fats, not all plant foods are rich in omega 9. In general, the brain needs omega 3, 6 and 9, but there must be a balance between them(more). In the current diet is often consumed an excess of omega-6 due to industrial fries, snacks, sunflower oil and corn oil. Omega 9 helps reduce the intake of omega 6 and to optimize the use of omega-3, so important and not very present in the diet. Photo of argan oil, richer in omega 9 and twice the vitamin E than olive oil. Omega 9 has a very prominent role in the regulation of inflammation in the body, and therefore acts in balance with omega 3 and omega 6. When we suffer an inflammation of the skin, as a dermatitis, or internally with gastritis, fat omega 9 acts as a lubricant and protector of the dermis, helping to care for damaged skin. If we choose sources of omega 9, rich in antioxidants, such as extra virgin olive oil, we are providing vitamin E and polyphenols that accelerate the recovery of inflamed skin and healing processes. Whom is omega 9 specially interesting? People who have gastritis or stomach ulcers should increase consumption of extra virgin olive oil, especially when there is more pain. People with psoriasis, ulcers, reflux, hiatal hernia, gastritis or digestive ulcers should take foods rich in omega-3 and omega 9. Also people with arthritis and rheumatism, as from these foods, the body produces anti-inflammatory substances to relieve pain. 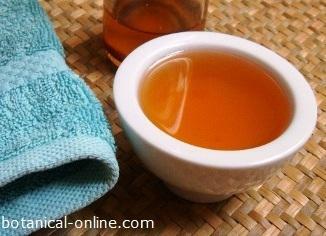 For its lubricating properties, this fat is an essential ingredient in the diet for constipation. The omega 9 lubricates the intestines and improves intestinal transit and can help treat and prevent diverticulitis or ulcerative colitis. It is common for people who follow a weight loss plan and totally exclude the oil in their diet, which can lead to suffer from constipation problems. * More information: Supplements for constipation. Foods rich in omega 9, especially vegetable oils and nuts, have shown positive effects when introduced into a diet for obesity. Although these foods have a high calorie intake, this is due to its content of healthy fats. Scientific studies have shown that vegetable oils and nuts satiated longer and reduce appetite. And within vegetable oils, is particularly beneficial olive oil, for its richness in omega 9. Obese people should take olive oil and nuts in their diet for slimming. They are foods with high satiating power, long-term help improve your cardiovascular health. Photography of the typical food of the Mediterranean diet. Mediterranean diet is very rich in omega 9. Fat omega 9 is the most abundant in the Mediterranean diet, because in this consumption olive oil is abundant, rich in oleic acid omega 9. Among the benefits of the Mediterranean diet, they emphasize its related heart disease properties. Studies show that people who follow a Mediterranean diet show lower incidence of coronary heart disease and certain cancers. Because of the richness in omega 9, Mediterranean diet has been shown to reduce the risk of cardiovascular disease and some cancers. 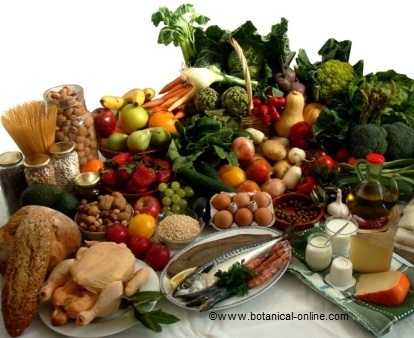 The benefits of omega 9 also come from foods that are found. We talk, for example, phenolic components present in olive oil: hydroxytyrosol and oleuropein. These components are powerful antioxidants and protectors of blood capillaries, preventing capillary fragility and deterioration caused by cholesterol accumulated in the arteries (atherosclerosis). Foods rich in omega 9, as olive oil, avocado or walnuts help lower bad cholesterol and improve the health of the arteries and heart. More information on omega 9.